Winter is on it’s way ! A very relevant photo appeared on the old yeadon - memories Facebook page earlier in the week that I have borrowed. 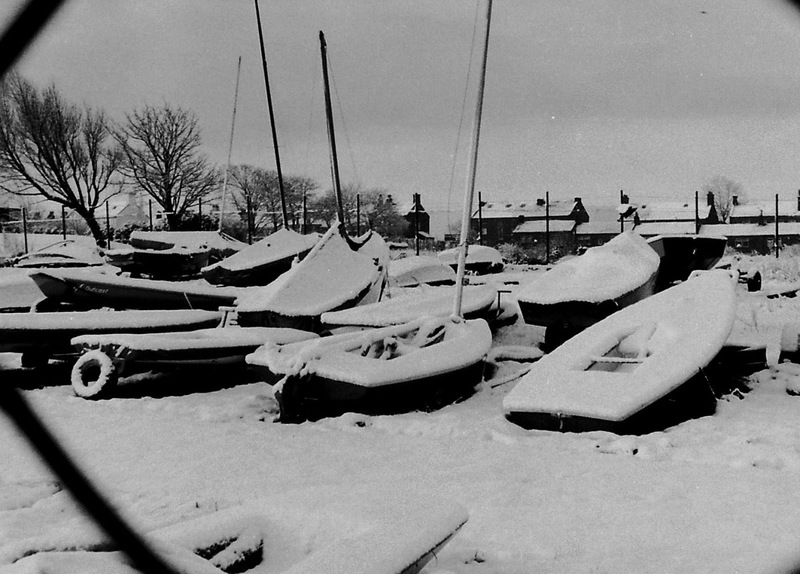 This is a photo from 1986 of the Dinghy Park covered in snow. Thank you to Carlo Harrison and John Denison for the photo. In this current wet and windy weather there are some sad looking boats in the boat park with poorly fitting covers, with water in the boats and the covers and generally looking unloved. Before the really cold weather hits, if your boat in still in the Dinghy Park, then please remember to pop down to the Club and make sure it is tied down securely, any water that gets in can drain out and it is winter ready as the damp, frost, frozen water can damage the hull, sails and the rudder and centreboard. Over the last couple of weeks (apart from the keen Frostbite sailors) there has been a number of members around sorting their boats out for the winter which was good to see. If you cannot get up to the Club due to ill health to check on your boat please let us know and we shall see what we can do to help you.